Sigma has admitted that its recent entry into the compact system camera market in the shape of compatible lenses is a bit of a gamble. Speaking to TechRadar at Focus on Imaging, Graham Armitage, MD of Sigma UK, said "It's a bit of a leap of faith, but if they sell well then we'll make some more." Sigma first introduced CSC lenses in January 2012 at CES, in the form of a 30mm f/2.8 and 19mm f/2.8 EX DN lenses which are compatible with Micro Four Thirds cameras and Sony NEX models. Compact system cameras are a relatively new area of the market, having first been introduced in 2008 by Panasonic. Since then, almost every manufacturer has introduced their own take on small, mirrorless models, but it has taken a while for third party manufacturers such as Sigma to enter the market. 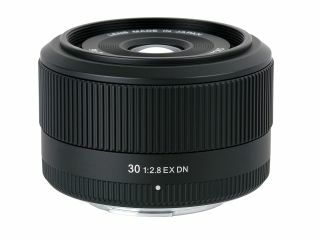 Recently, other manufacturers including Tamron and Tokina have announced that will also produce compatible lenses. Last year, compact system cameras managed to outsell traditional DSLRs in Japan, while here in the UK, sales figures are around 30% (of all interchangeable lens cameras). However, how much that translates into additional purchases is still a bit of a grey area. "I have a sneaking suspicion that people buy a compact system camera and then don't buy any other lenses," Armitage said. Currently, Panasonic and Olympus have the edge in number of lenses available, while other manufacturers which are newer to the mirrorless market, such as Nikon and Fujifilm have fewer.